sofar in its debut season, with about as much time dedicated to character-study as there is to the over-arching plot involving shady businessmen in a land-grab scheme. in-between those two constants are the one-off cases the duo take to make a living. while the description may not sound like the most original idea in the world (it ain’t), it is however in the execution of said ideas where the show really beats a new path. i cannot recommend getting into it enough (Michael Raymond-James in particular has grown on me quickly to become one of my favourite actors (True Blood fans will know him for his role as the unhinged Rene, in Terriers he plays someone very far-removed from that character)). there’s almost something wistful, fatalistic and transitory about the lives these two lead, all of which is compounded by the highly addictive theme song and opening credits of the show. the song, titled Gunfight Epiphany by Robert Duncan, sounds like dark surfer rock and details, cryptically, the plot of the show (that’s my best guess as the lyrics are quite abstract). 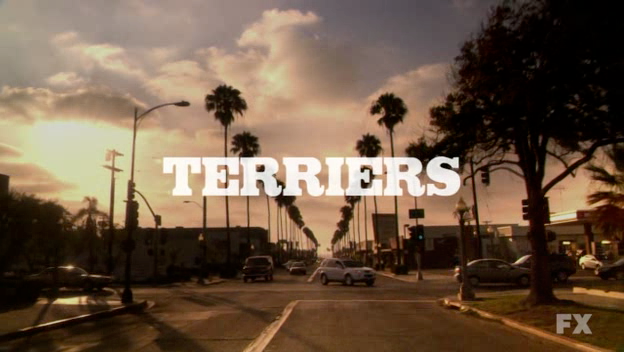 the name Terriers is what PIs used to be referred to back in the day, and..come to think of it there is an episode or two involving A dog, but not a terrier (that sentence was lame but had to be written). the show’s also got a pretty sweet supporting cast consisting of Rockmond Dunbar (top marks for the parents who NAMED THIS GUY…i mean just wauw @ that name) playing Detective Mark Gustafson, Hank’s old partner before Hank got booted off the force presumably for reasons relating to his former alcohol addiction problems; Kimberly Quinn as Gretchen Dolworth, Hank’s ex-wife; & Laura Allen as Katie Nichols, Britt’s emotionally-damaged girlfriend. while these 3 characters are well-worn when having anything to do with a recovering-alcoholic-former-cop-turned-PI, they don’t exactly play to ‘type’, which means familiar scenarios resolve themselves in unfamiliar ways. e.g. 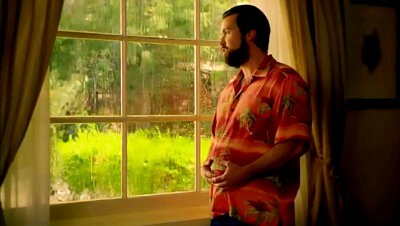 there is one episode dealing with Hank’s ex re-marrying which could’ve ended up turning into every similarly-themed tv show cliché you could imagine, but somehow doesn’t. 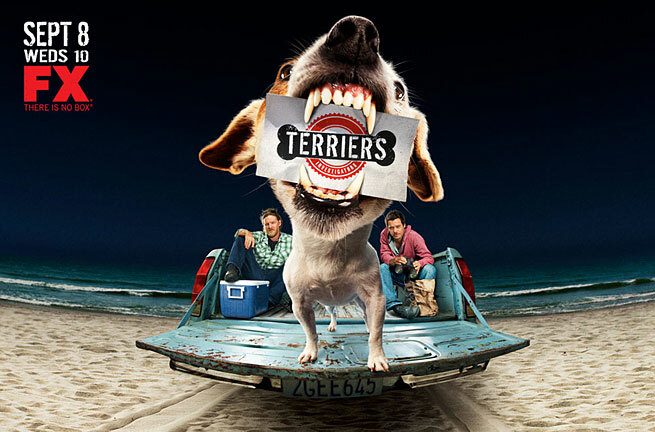 this sense of bucking the ‘expected’, coupled with the chemistry b/w the two leads (no doubt helped by the fact that they’re good mates in real life), makes terriers very familiar yet not at the same time. the show also employs the vast talents of Tim Minear, who is most famous for his excellent work on Buffy, Angel, Firefly & Wonderfalls (plus a host of other quality shows). with only 3 episodes left in the 1st season, now would be a good time to hop on board and show some e-support for the show, as no one is certain if it’ll return for a 2nd (the curse of a tv show with heavy “critical acclaim” is that more often than not, the ratings are average).